Prof. Wiesław Binienda provides expert services to the Parliamentary Group for the Investigation of the Polish President plane crash. Prof Binienda is Dean of the Engineering Department at Akron University in Ohio and a member of a group of aviation disaster investigation experts for institutions and companies such as NASA, FAA and Boeing. He holds a Doctorate in Materials Science, serves as co-director of the Gas Turbine Testing Center at the University of Akron where he is responsible for impact, material and structural experiments. He is an honorary member of the American Society of Civil Engineers (ASCE) and is Chief Editor of The Journal of Aerospace Engineering. Dr. Binienda received a prestigious NASA Award titled "Turning Goals Into Reality" for valuable contribution to Jet Engine Containment Concepts and Blade-Out Simulation Team and Exceptional Progress Toward Aviation Safety. He is also a recipient of the College of Engineering Outstanding Researcher Award and The Louis A. Hill, Jr. Award of the University of Akron. 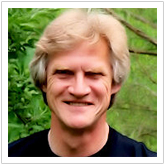 His research interests include impact simulation, fracture and damage of materials with emphasis on advanced composites, explicit and implicit finite element analysis, smart materials, structural design as well as optimization, characterization and constitutive equation development for ceramics, metals and polymer matrix composites. 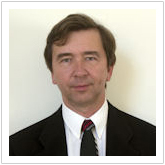 Prof. Kazimierz Nowaczyk holds a doctorate in Physics and is currently at the University of Maryland. His area of expertise includes Applied Physics, Mathematics and Statistics, Data Analysis and Presentation, Instrumental Design and Development, Spectroscopy: UV-VIS, Fluorescence, Phosphorescence, Fluorescence Microscopy, computer hardware and operating systems. He provided reports of detailed analysis of data recorded by on-board instruments, TAWS and FMS logs, recovered after Presidential plane crash. 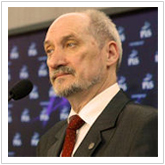 Antoni Macierewicz, Member of Polish Parliament, Chairman of the Parliamentary Group for the Investigation of the Polish President plane crash set to investigate and to establish the causes of the 2010 Polish Air Force Tu-154 crash. On June 29-30, 2011 the committee published its interim report titled “White Book of Smolensk Tragedy“. His committee continues to investigate all aspects of the crash, relying on experts from Poland, U.S., Russia and other countries. "Gazeta Polska" awarded Macierewicz a title of Man of the Year 2010. Antoni Macierewicz was Minister of Internal Affairs (1991-1992) responsible for the police and security services, which entailed full access to the former communist archives, records of communist intelligence and secret service agents. As deputy Minister of Defence in Jaroslaw Kaczynski’s government, he spearheaded in 2006 the liquidation of the Military Information Services (WSI) and became the chief of the newly restructured military counter-intelligence. Official liquidation report, known as “Macierewicz’s Report”, was published on 16 February 2007. The long list of prominent names, former agents trained by Soviet GRU was published. The report also contained detailed information on treacherous and criminal activities of the WSI that continued until 2006. Ewa Błasik, widow of late General Andrzej Blasik, Commander of The Polish Air Force. Marta Kochanowska, daughter of late Janusz Kochanowski, Ombudsman and Commissioner for Civil Rights Protection of the Republic of Poland. Zuzanna Kurtyka, President of the 2010 Katyń Families Association, the widow of late Janusz Kurtyka, President of the Institute of National Remembrance. Joanna Błasik, Barbara Fedorowicz, Dariusz Fedorowicz, Beata Gosiewska, Jadwiga Gosiewska, Teresa Guzowska, Marianna Handzlik, Katarzyna Indecka, Krzysztof Indecki, Grzegorz Januszko, Ewa Kochanowska, Helena Kotzbach, Krystyna Kwiatkowska, Andrzej Melak, Magdalena Merta, Dorota Skrzypek, Renata Szczęsna, Małgorzata Wassermann, Małgorzata Wypych, Mieczysław Ziętek.